Dr. Kelly M. Lennon is an honors graduate of Creighton University and is a vConfidence approved physician. Upon completing his residency at the University of Florida-Jacksonville as an academic Chief Resident, he became a founding physician of South Denver Obstetrics and Gynecology, PC, a forward thinking premier practice working collaboratively with midwives. Dr. Lennon has held leadership positions as the Department Chairman of Women’s Services and the Medical Staff President for Littleton Adventist Hospital. Dr. Lennon’s patients appreciate his kindness and sincerity because he really takes the time to listen to your questions, and to ease your concerns. Very professional and knowledgeable, Dr. Lennon will make you feel relaxed and comfortable, and his steadfast intention is to helping women enjoy an enhanced sense of femininity so that they can get more out of life. 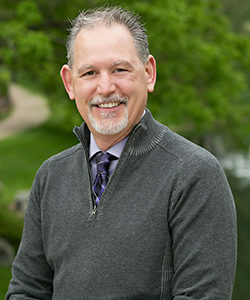 Dr. Lennon is a founder and CEO of Pink & Blue United, a nonprofit foundation, and he sits on the Castle Rock Adventist Hospital Community Board and the Arapahoe Douglas Elbert Counties Medical Society Board. In addition to his practice, Dr. Lennon is the Chief Medical Officer for Pinnacle Medical Partners, a practice management company. A native of the Midwest, Dr. Lennon is very easy to talk with, and you will feel taken care of by the entire team at South Denver OB/GYN. As a vConfidence approved physician, Dr. Lennon is passionately devoted to empowering women to improve their feminine quality of life with the absolute highest quality of care and an unsurpassed service approach with extraordinary results. We invite you to schedule your consultation so that you can learn for yourself about the advances behind vConfidence, and discover all that we have to offer, including the latest techniques in vConfidence feminine care.